To drink or not to drink on a hike, that is the question. I have always been a wine drinker but usually on long distance hikes, I tend to ‘do it dry’ because drinking alcohol tends to disrupt my sleep which is disrupted at the best of times. Overnight hikes on the other hand are different and I will often take a batch of comfort food that will cope with only being in my pack for a relatively short period. Things such as soft cheese, pate and yes on occasion, wine. I have tried different options with wine including the small single serve sachets and unfortunately the quality is just not there. And yes I am a but fussy – I’m no expert but I know what I like! So if I’m going to drink alcohol on the trail I want something that tastes decent. What I don’t like is carrying the bottle. 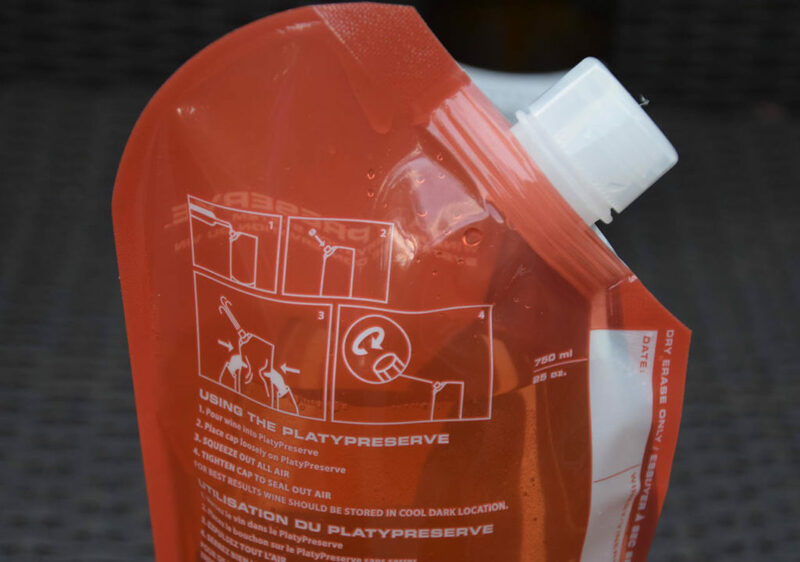 Apart from the needless weight, there is a risk of breakage if you are a bit heavy handed with your pack. Also, if you open a bottle of wine, you need to drink the whole thing. Otherwise you end up tipping out the excess because the exposure to the air isn’t going to do the wine any good. Others will debate this with me, but even a really good bottle of red, won’t be as good the next day. 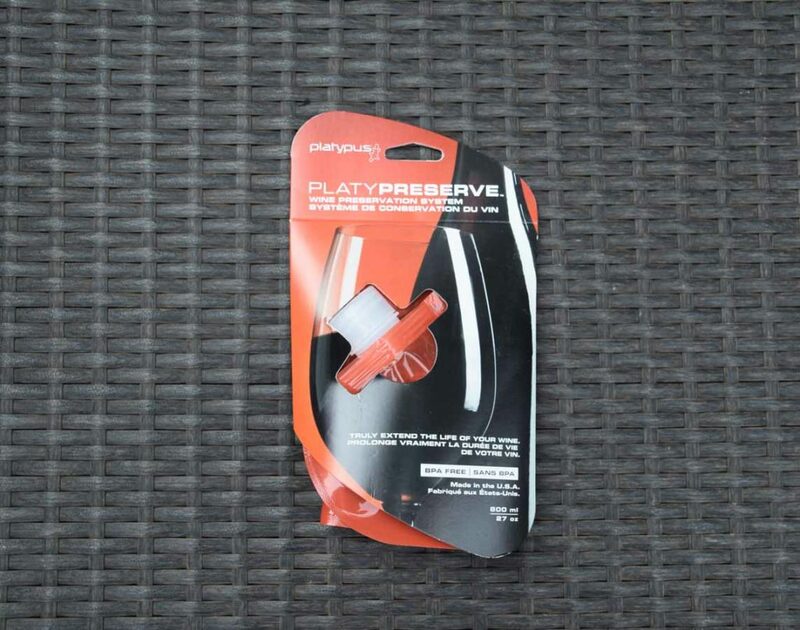 I was keen to test out the Platy Preserve portable wine storage to see if I could be convinced to have a tipple on the trail. This flexible wine storage vessel will hold 800 mls of wine so you can fit a full sized bottle if you so desire. The advantage of this container is that it is flexible and as such, won’t break. 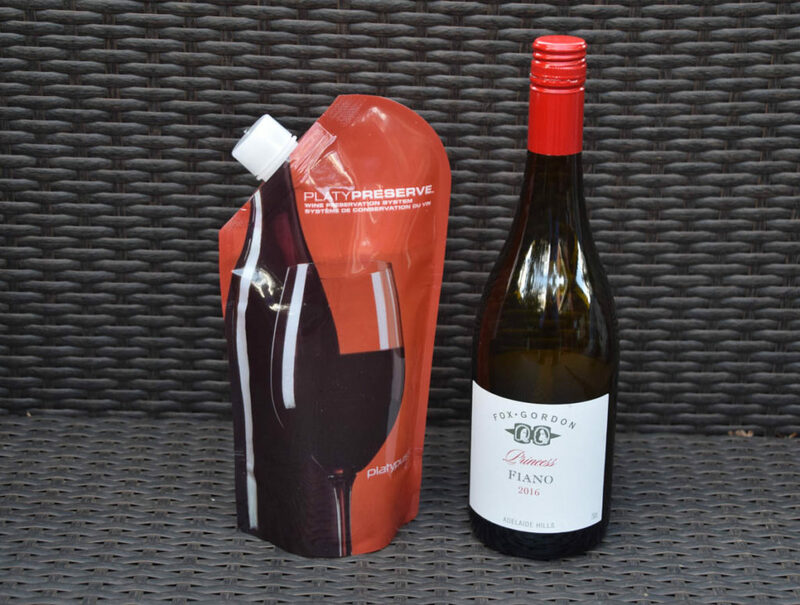 You can squeeze the excess air out so the wine won’t go off too soon. In fact as you drink the wine, its easy to remove the excess air before closing it up. Despite these sealing and degassing benefits, after one day the white wine was not great to drink. Red wine would be better but it depends on personal choice. 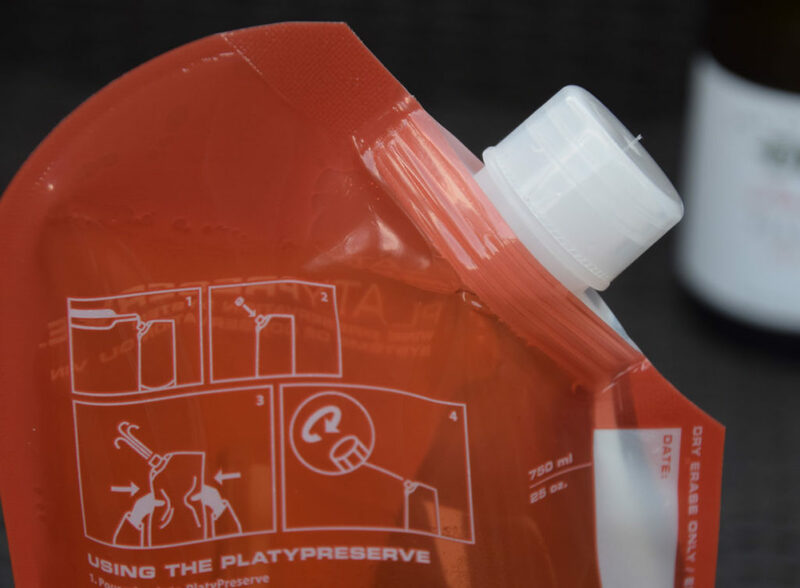 The spout location on the corner of the container (as opposed to the top with the water carrying options), makes this an easy to fill and easy to pour container. The bladder is also made of a material that doesn’t leave an aftertaste on your alcohol of choice. As such, this container can also be used to carry water if needed. Now to be honest, I like drinking my white wine chilled so unless the weather is on the cooler side, using the Platy Preserve is just not to my liking. However as far as red wine or even spirits are concerned, drinking these beverages at ‘room temperature’ is fine. From my perspective this is the lightest weight (24 grams) and best option for carrying alcohol on the trail. Test it out first at home to see what suits you and the environment in which you’ll be travelling.